Most of you should be happy with Windows 10 Home. But certain features make the upgrade to Windows 10 Pro worthwhile. Windows 10 Professional isn’t just for cubicle dwellers who have no choice in the matter. While users who own a “professional” PC like the Surface Book 2Remove non-product link will automatically be upgraded to this higher-end version of the OS, smaller businesses and PC enthusiasts may also weigh the benefits of the Pro version vs. Windows 10 Home. Recent Windows 10 feature updates, such as the April 2018 and May 2019 Windows 10 Updates, add more Pro-specific features. Windows 10 Professional doesn’t take anything away from Home users; it simply adds more sophisticated features. It’s a costly choice, though: The free upgrade from Windows 7/8.1 has gone away, meaning that you’ll either have to buy a new PC with Windows 10 installed or build your own, spending extra for a license. In general, you can pay $139 to download Windows 10 Home from Microsoft directly, after Microsoft raised the price by $20 at the end of 2018. You can pay $200 to download Windows 10 Pro from Microsoft directly, or pay a little less to buy it from an e-tailer. Amazon charges $109.99 for Windows 10 Home, and $189 for Windows 10 ProRemove non-product link. There’s one more option: buying a “system builder” license from an e-tailer. This is usually the choice of enthusiasts, but it offers no support or even instructions from Microsoft. It’s cheaper: Windows 10 Home (OEM)Remove non-product link is $100 (regularly $110) at Amazon; while Windows 10 Pro (OEM)Remove non-product linkwas $143 from Amazon. 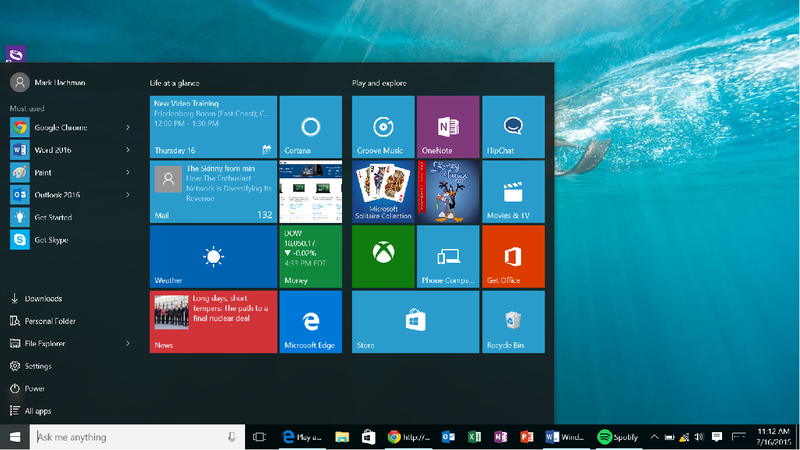 The differences between Windows 10 Home and Windows 10 Professional lie under the hood. On the desktop, your experience should be roughly the same. Microsoft’s encryption software has been developed and updated since Windows Vista, and it’s been built into Windows 10 as well. 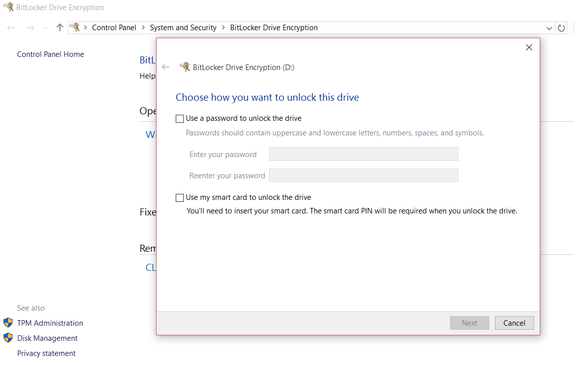 Since Windows 8.1, BitLocker has offered the option to encrypt the Windows boot drive and other fixed drives within the system, as well as USB keys and external drives. Encrypting drives is a snap with BitLocker. BitLocker is especially handy for traveling, even if it’s just to a local cafe. Locking down your data isn’t 100-percent foolproof, but it’s a start. 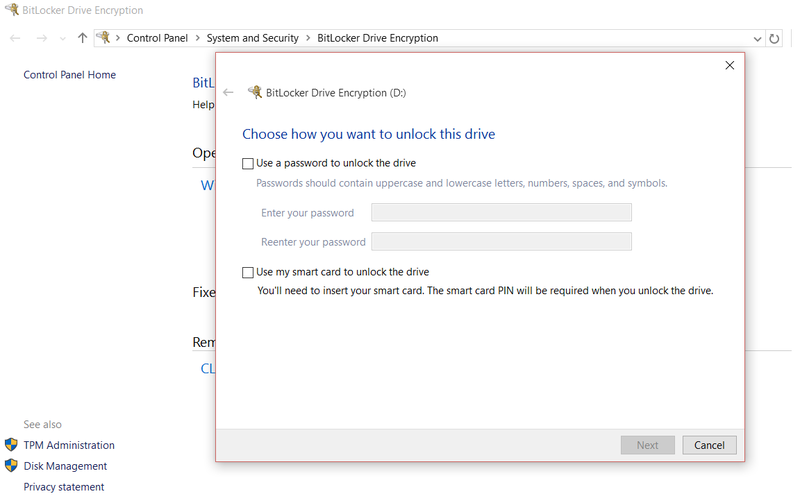 If a drive is encrypted, BitLocker will encrypt other files that are added to it. You also have the option to suspend encryption or remove it entirely. Files moved from a BitLocker encrypted drive to another drive are automatically decrypted. 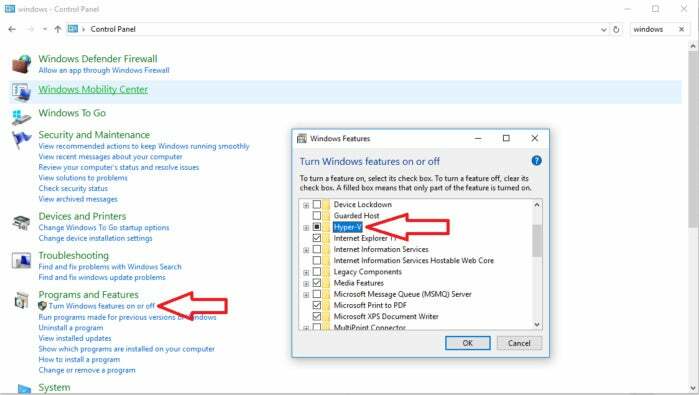 It’s really not all that complicated: logging in to your Windows PC will automatically make all your files accessible to you. It’s only if your PC is lost that BitLocker works to protect your files from being accessed by an attacker. A cloud storage solution like OneDrive can be a great way to store your files, but a USB key encrypted with BitLocker and clipped to a keychain can provide an additional layer of security and keep precious files close at hand. 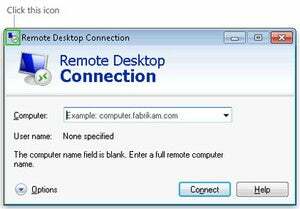 MicrosoftWindows has two similarly named capabilities: Remote Desktop Connection and Remote Assistance. The differences between the two are significant. 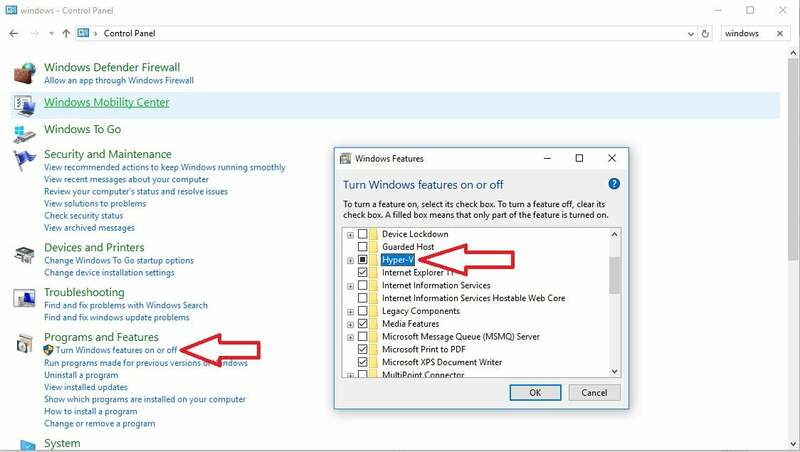 Windows 10 Home machines and Windows 10 Professional machines can initiate Remote Desktop Connections, such that the “master” machine controls the slave machine and all of its resources. (Doing so blanks the display on the “slave” device.) Only Windows 10 Professional machines can be remotely controlled, however—not Windows 10 Home machines. Windows 10 Home machines can be remotely assisted, which means that the Windows 10 “master” machine controls the “slave” machine, and the “slave” display mirrors the master display. Remote Assistance is designed as an educational tool, so that a remote technician can show you how to adjust your graphics settings, for example, by moving your mouse. 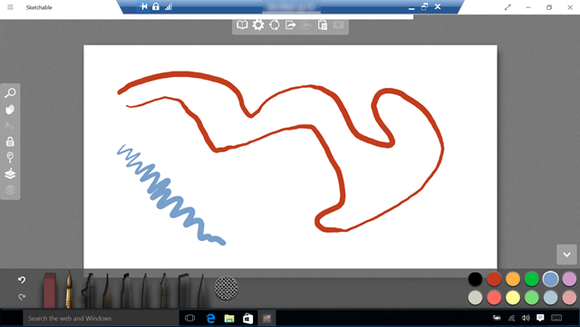 With Windows 10, Remote Desktop connections can even use ink as a “first class” input, which means that different levels of pressure are sensed and applied remotely. The upshot is that work machines can be accessed from home, but home machines can be controlled only from work. If you run a small business, Remote Desktop Connection is another reason to consider Windows 10 Professional. Not many business professionals will probably care about virtualization, the ability to wall off a portion of your hard drive into a virtual PC, complete with its own operating system. But for enthusiasts—especially those who wish to continue testing Insider builds without risking their main system—Hyper-V is just the thing. In fact, virtualization is a key technology that appears in several ways within Windows 10 Pro. Once you have Windows 10 Professional, you’ll still have to install Hyper-V manually. You can begin typing “Hyper-V” in the Search box. Windows will suggest that you install some optional features. You’ll be given a list of options, where you can install Hyper-V.
To enable Hyper-V, you’ll need to enable optional Windows features, then select Hyper-V. After enabling Hyper-V, you’ll be asked to reboot. Our sister site Infoworld offers a great introduction to Hyper-V.
Windows 10 Home pushes patches to your PC immediately, allowing you to defer installation for a few hours, but no longer. For some, that might not be the most desirable option. Windows 10 Professional offers an option, as our tutorial in how to manage Windows 10 updates explains. If you’re frustrated by unexpected Windows 10 updates that reboot your PC, Windows 10 Pro may be for you. Users can certainly opt to install patches as soon as Microsoft releases them. But as history has proven, Murphy’s Law can trigger an update at an inopportune time. Deferring the update—until the weekend, possibly—means that you’ll be able to update your PC when you choose to. If you have Windows 10 Pro, you’ll be able to pause updates. Why? Maybe you’re traveling, or working on a big presentation. Windows 10 Pro gives you extra flexibility. The other reason, though, involves bugs. As Windows 10 neared, reports circulated of new updates breaking multimonitor setups with certain Nvidia cards. 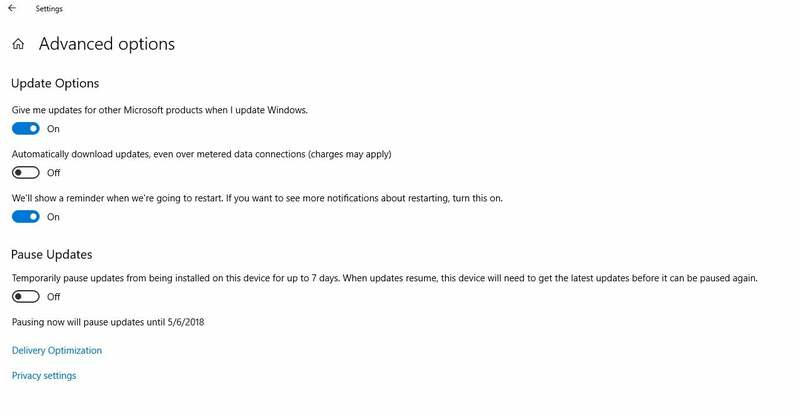 A firmware update that Microsoft pushed to the Surface 3 and Surface Pro 3 failed, and had to be reissued. 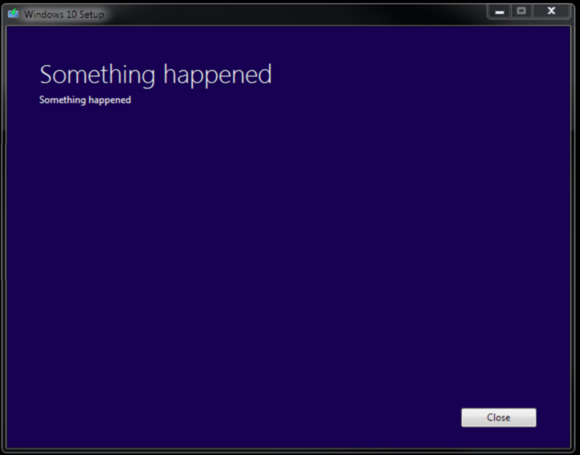 This bug cropped up in some installations using the Windows 10 Media Creation Tool. In other words, patches do occasionally cause things to go haywire, which means that Home users could wade through some wonky updates as Windows 10 evolves. Murphy’s Law says things will go wrong. Bugs will happen. Updates will be applied. That chance to wait and see if anything blows up might add an extra layer of peace of mind. One key feature which has finally reached Windows is Windows Defender Application Guard, a sort of browser “super sandbox” which was restricted to enterprise versions of Windows, but was added to Windows 10 Pro in the April 2018 Update of Windows 10. A WDAG-enabled browser window will flag you that it’s active. WDAG creates a virtual sandbox for your Edge browser, although you’ll need to turn on the feature within the Control Panel (Control Panel > Programs > Turn Windows Features On and Off). If you’re browsing the dark depths of the Web within Edge, do it with WDAG enabled. Note that WDAG doesn’t currently allow you to run extensions, and Favorites may not carry over if you open a WDAG window. You might not be able to download a file, unless you change a policy setting. WDAG was Microsoft’s most secure way to surf the Web... until Sandbox. WDAG was our go-to choice for surfing the Web, but Sandbox improves upon it. Think of Sandbox as an upgrade over WDAG, or a slight downgrade over a full-fledged Hyper-V window. Essentially, Sandbox provides a simplified way to launch a self-contained virtual environment, without the need for license keys or anything else. It’s not quite here yet, though! 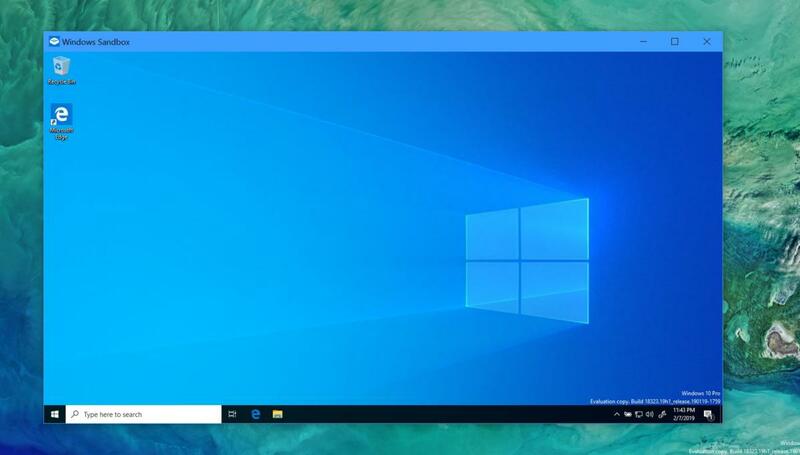 Sandbox is present in the so-called “19H1” Windows 10 Insider builds, and it should debut in the May 2019 Update of Windows 10. Windows Sandbox isn’t much to look at, and the performance can be slow. But the security is worth it. Sandbox may be used to test apps, such as a random utility you found on the Web and aren’t quite sure what it does—or whether it’s malware. Sandbox carves out part of your operating system for its own use, and when you close the window, everything within it vanishes. There’s one key difference between Sandbox and WDAG, however: If you download a file within WDAG, it resides within the virtual environment. Sandbox files can be downloaded to your PC, and are still accessible when you close the Sandbox app. That makes everything slightly less secure, but more convenient. Sandbox can also be used as a way to surf the web securely. Though the default Sandbox environment contains a bare-bones Windows installation (complete with Edge), you can download Chrome or any other app. Sandbox doesn’t offer any more anonymity than your browser’s private browsing mode, and if you’re logged into the browser your history will still be saved. Still, it’s somewhat satisfying to see the browser and any history it has vanish when you close Sandbox. Several features in Windows 10 Professional are aimed squarely at the business market. Domain join, for example, allows you to bring in your own PC and connect it to the office domain. Group policy management allows an IT admin to control which PCs do what. 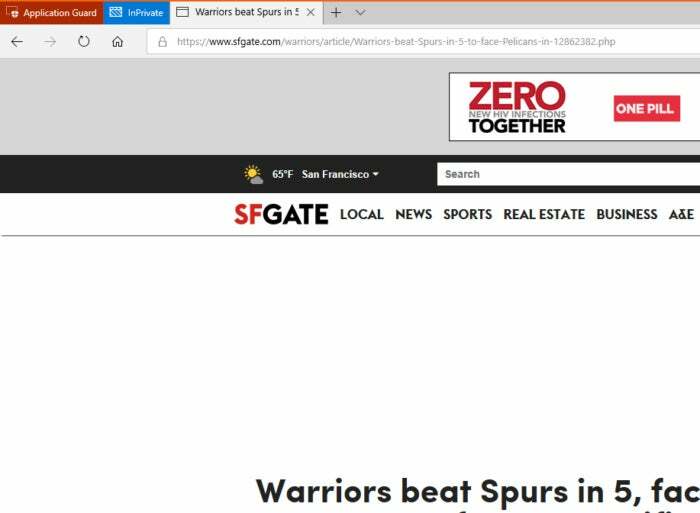 And if you’re running an ancient Web app at work that doesn’t work with Edge or Internet Explorer 11, the Enterprise Mode Internet Explorer allows you to drop into an Internet Explorer 8 mode inside your browser. Likewise, if your business needs specialized enterprise apps, an admin can lock down the Windows Store to make sure employees get those, and nothing else. There’s also the ability to join Azure Active Directory, with single sign-on capabilities. Some users may find some value in Assigned Access, which takes a Windows tablet and allows it to run only a particular application. Normally this setup is used for a dedicated kiosk, but it might kid-proof a tablet, too. Moving to Windows 10 Professional makes sense for people who could use its more advanced features—and adding more of them, over time, makes it more appealing. It costs money, though, so don’t feel compelled to upgrade unless you really need them. 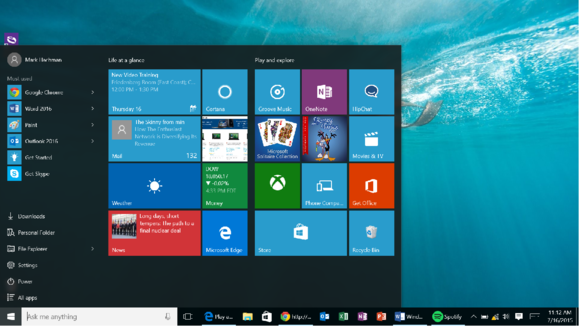 Windows 10 Home will suffice for the majority of individual or family users. This story was updated on April 9, 2019 to acknowledge that the April 2019 Update has been pushed out and renamed the May 2019 Update.